Discussion in 'SMB' started by Brett, Sep 17, 2018. 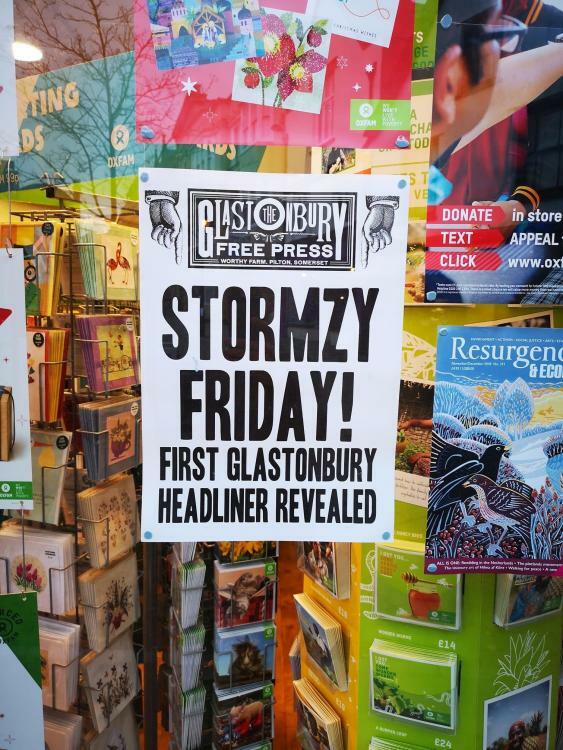 Not great, although Stormzy would be an excellent headliner imo. Each to there own and I appreciators not just about the music, but I’d be disappointed with these charlatans if I’d paid £200 for a ticket. they play werchter festival on the friday,and some festival in serbia on the 4th of july. The Cure were the reason I went to my first Glastonbury, in 1990. Better than the 3 headliners suggested above. Can't say I'd get excited for any of those 3 if they turn out to be true. But that's no reason not to go to Glastonbury. It's typical Glastonbury to give some new a chance to step up. As if middle-class students wadn't absolutely lap up Stormzy. Cannot think of anywhere I'd less rather be. Nowt but a bunch of daft tarts poncing about in green wellies, even when the sun is cracking the flags. Excellent booking. I see already the elitist, middleclasstonbury, non music enthusiast is not happy about a young, anti establishment black man infiltrating their soirée. have nothing against it myself, just makes me feel old! I couldn't name a single Stormzy track. Partly a sign of me getting older, partly me still thinking it's 1995 in musicworld. Good luck to the bloke.